When I was a kid we were so poor we had to make our own snowballs. Just kidding, when I was a kid Wham-O hadn’t invented The Arctic Snowball Blaster yet. Not only does it make the snowballs, it also hurls them at the opposition . 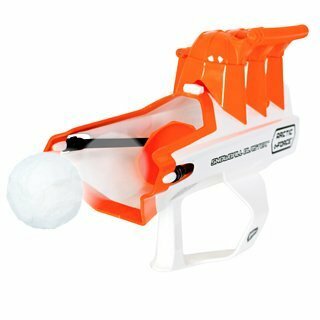 If the snowball blaster was around in my childhood I would have definitely asked for one. Make and throw the perfect snowball. The easy to pull mechanism can launch a snowball up to 80 feet. This one is recommended for ages 8 and up and includes a bonus inflatable shield. Here are a few more snow toys that will keep the kids outside and exercising all winter long. 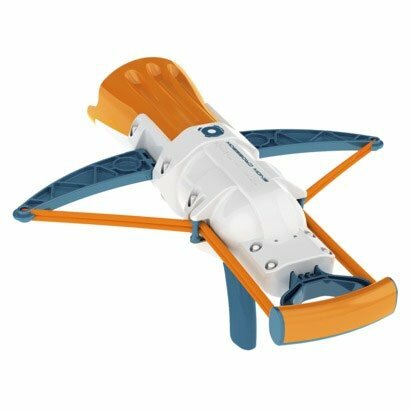 For ages 8 and up this slingshot style design hurls snowballs up to 60 feet. The kids will be looking forward to every snowfall. Load a snowball into the front of the launcher, pull back the lever, aim and fire at the target which is provided. 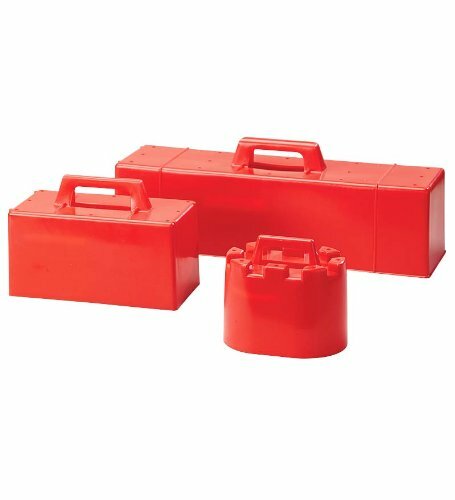 It is ergonomically designed for easy use and folds for easy storage. 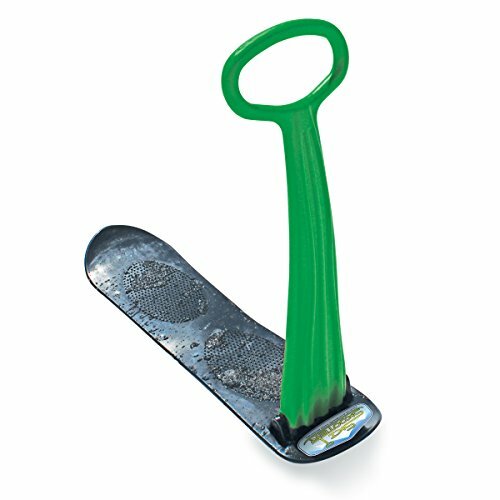 This snowball thrower is built for speed and efficiency in snowball fighting. 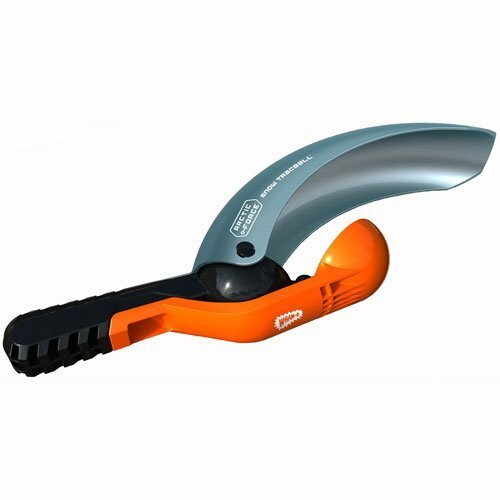 It has a shovel scoop, a built in snowball maker and can launch a snowball up to 150 feet. Every kid needs his own slinger or they don’t stand a chance of winning the next fun snowball fight. 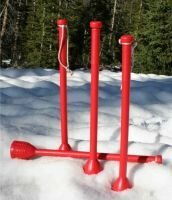 Keep hands warm and dry while playing in the snow with these snowball throwing sticks. Just push the end into the snow and make the perfect snowball to throw with ease. It can also be used as a horn by blowing in the handle. Not recommended for children under 3 years. Arm all the kids with their own stick to make it fair. This collapsible Aluminum Scooter Design folds down for easy storage. Comes fully assembled and ready to ride for hours of fun in the snow. Can hold a rider weight of 44 right up to 140 pounds. Includes a snow break for safety and is great for around the street, in the yard and out on the snowy trails. Great exercise and hours of fun. What backyard can go without a great snow castle or fort after a winter snowstorm? This is hours of fun for all ages over 3 years. It comes with 3 form shapes to build a unique and magical castle every time. The good thing about this toy is that it will save you money by doubling as a summer toy when you build sand castles at the beach. For snowboarding on snow, grass or even sand dunes. 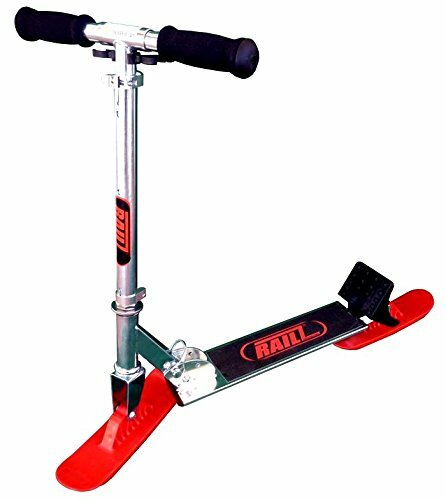 You can also ride it like a scooter on flat smooth surfaces. The adjustable height handle helps maintain balance and assist with steering. There is a non-skid foot tread to keep feet sturdy and the handle folds down for easy storage. Fun for all seasons with this scooter.